Riding school at Park Lane Stables07796 842 328work Horse RidingA small family-run riding school based in Teddington and Hampton, Richmond upon Thames. They are just 35 minutes from London Waterloo and welcome horse lovers from all over London and the Home Counties. Their main yard is located on a residential street just a few minutes walk from Royal Bushy Park and just 1 mile from Hampton Court Palace. A truly urban riding school in London. A small family-run riding school based in Teddington and Hampton, Richmond upon Thames. They are just 35 minutes from London Waterloo and welcome horse lovers from all over London and the Home Counties. They offer traditional hacks and horse riding lessons, as well as being a fantastic venue for childrens' birthday parties and hen parties. 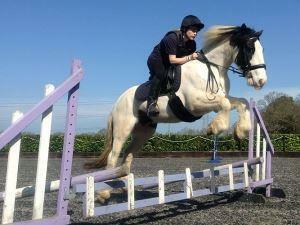 They also have a busy Pony Club, with lots activities for kids running throughout the year.